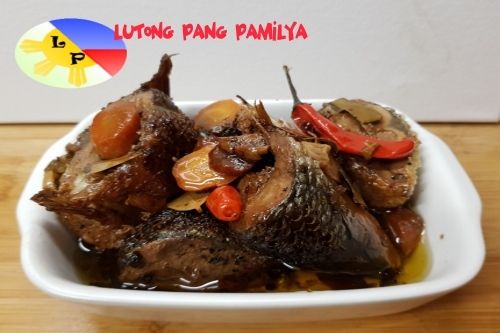 Are you looking for Bangus Sardines recipe that you can make? Why don’t you try my delicious homemade Bangus sardines? I’m sure you will like it, this recipe is a mixture of different ingredients and ideas to make it a perfect meal for your family and friends. What you need are those ingredients written below, and you should also need a pressure cooker with a rack. You will need Pressure cooker with a rack. Clean and cut the bangus into haft without removing the scales. Arrange bangus in layers on rack in pressure cooker. Pour in the remaining ingredients and make sure all the ingredients are scattered around the bangus. Cover the pressure cooker and boil for 1 hour without a pressure control. Then place the pressure control and cook under pressure for another hour. Then allow cooling before removing the cover. Served with rice and enjoy the delicious taste of bangus sardines.